The Centre is building an active community in support of its goals and objectives. We work with humanitarian partners and OCHA staff in the field and at headquarters. Our partners include UN agencies, NGOs, academia, the private sector, governments and regional bodies involved in humanitarian action. With more actors bringing their resources to bear on a crisis response, the hub and spoke model of coordination is shifting to a network model. In this model, OCHA continues to bring data together for situational awareness but also takes on the added role of network enabler. The network model allows for exponential rather than linear growth in data availability and capacity as more access points are created for collaboration and capacity. The Centre’s role in this network is to connect partners to one another through the provision of services such as common standards and shared infrastructure for storing and accessing data. Without these crucial interoperability services, data remains in silos and is fragmented across crises and partner products and systems. We are open to collaborating with a wide range of partners through information and data sharing, joint projects, and staff secondments. This engagement can take place remotely or in our locations in The Hague, Geneva, Dakar and Nairobi. 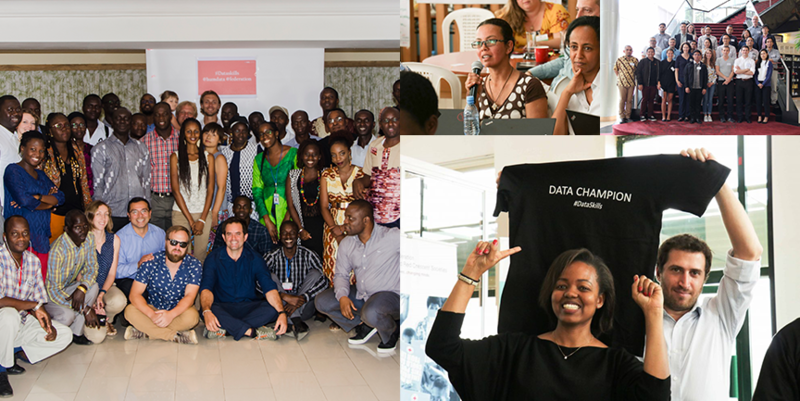 We are working with the International Federation of the Red Cross and Red Crescent Societies (IFRC) to deliver data skills workshops. So far, we have held joint workshops in Senegal, Kenya, Qatar and we have plans for more locations. We are working with the International Organization for Migration (IOM) to make displacement data more accessible. An IOM staff member has been seconded to the Centre in The Hague for an indefinite period to support the sharing and standardizing of displacement data on HDX. We convene a multi-organization Humanitarian Exchange Language Working Group to ensure the standard meets the needs of a wide variety of data providers. See the Events page for information on our latest workshops and webinars, and to see what conferences we are attending.